Starting School is one of life’s major milestones for a child and for many parents it can be an emotional and worrying time as well. It’s natural to feel both nervous and excited, but with a little advance preparation both you and your little one will be able to cope with the transition more smoothly. Below are ‘10 Top Tips’ to help you and your child start School with a smile. Start talking about School, and ask your child how they are feeling. What are they most looking forward to? Are they worried about anything? Read books about starting School together, and look at the School prospectus and / or website together and talk about the pictures. You may want to watch some videos from our You Tube Channel, Brabyns TV. If your child seems anxious about School, try focusing on the things they’ll like best – maybe the animals (Flopsy & Dash the rabbits or Gorky the tortoise), the playground (such as the Tree House in the Brabyns Friendly Garden – BFG) or new friends. Your child will enjoy trying on their smart new uniform. Let them practise getting undressed and dressed in preparation for PE lessons. When shopping for new uniform, look for items with larger buttons that are easier for little fingers and when it comes to shoes, remember they need to do them themselves so Velcro is probably best! Teach them tricks for getting dressed like having the labels at the back, rolling up tights and holding cuffs to avoid sleeves riding up. Why not take a photograph of them in their new uniform and stick it to the fridge, to help them picture themselves at School? It is great if your child can write their name or any letters in it, but don’t worry if they can’t. It is very helpful if they can recognise their name on a coat peg or name label. Put their name on their bedroom door (and anywhere else you’re willing), and remember to put name labels on absolutely everything (helps the child and staff and ensure you get things back! ), then show them to your child so they know where the labels are. 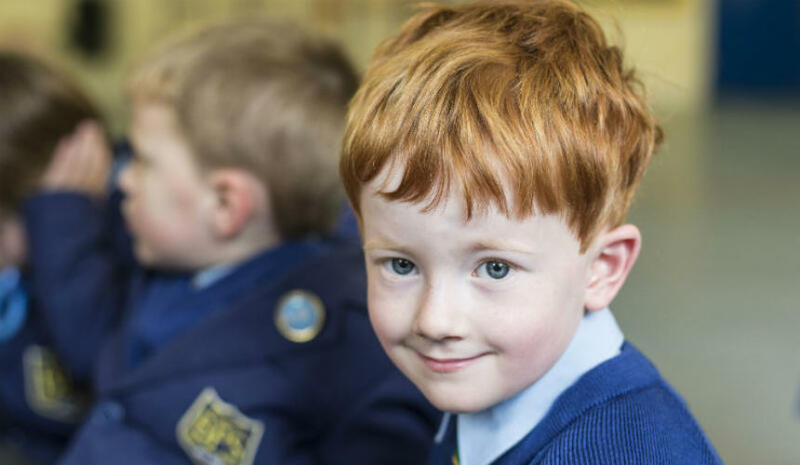 Your child’s teacher and all the staff at the School are experts at helping children to settle in, learn and thrive at school. However, you know your child best, so if there is anything you think might help your child feel more settled, suggest it to the class teacher during the first few weeks. I hope this has provided some helpful tips to help both you and your child prepare for starting school.